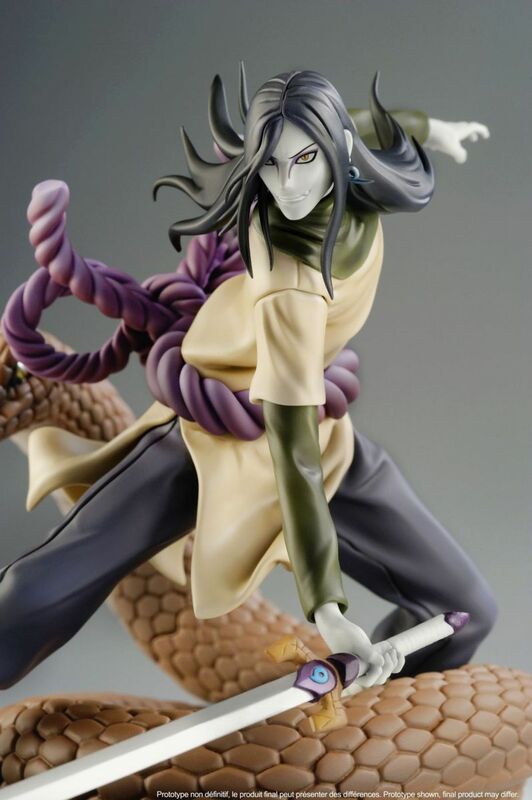 Orochimaru, from the Naruto Shippuden franchise. 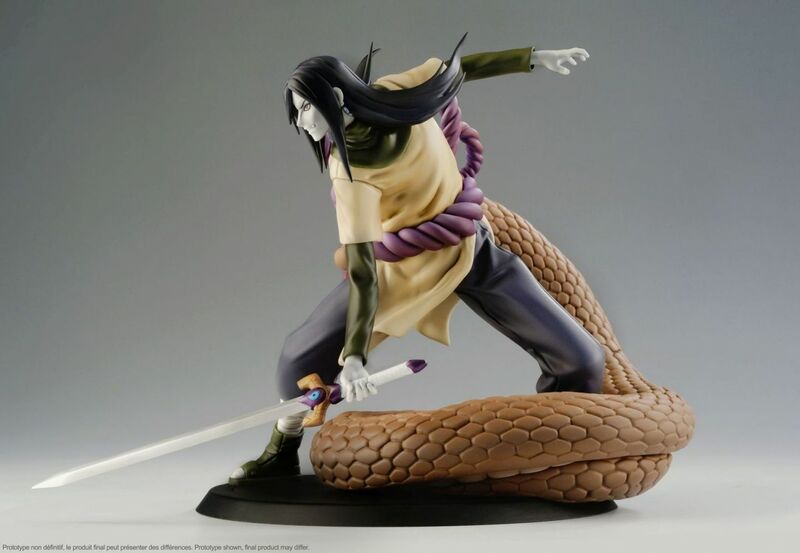 X-tra by Tsume collection, DXtra version. 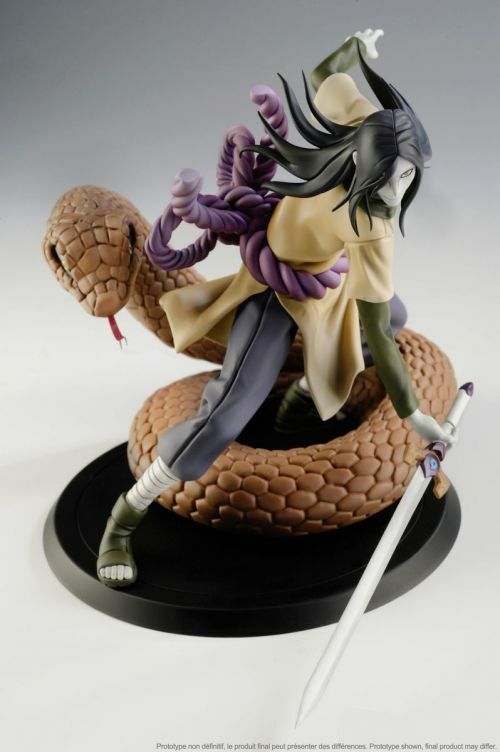 Included one Orochimaru figure, its Kusanagi sword, its summoned snake, its base and its window box. 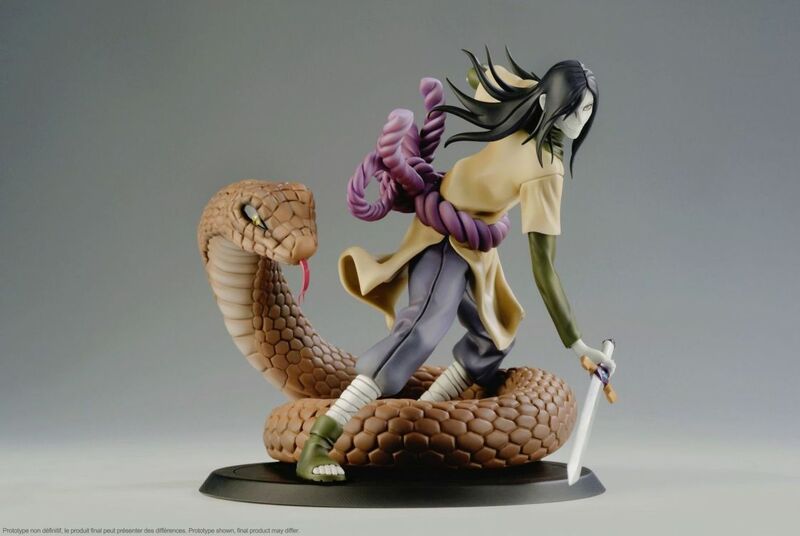 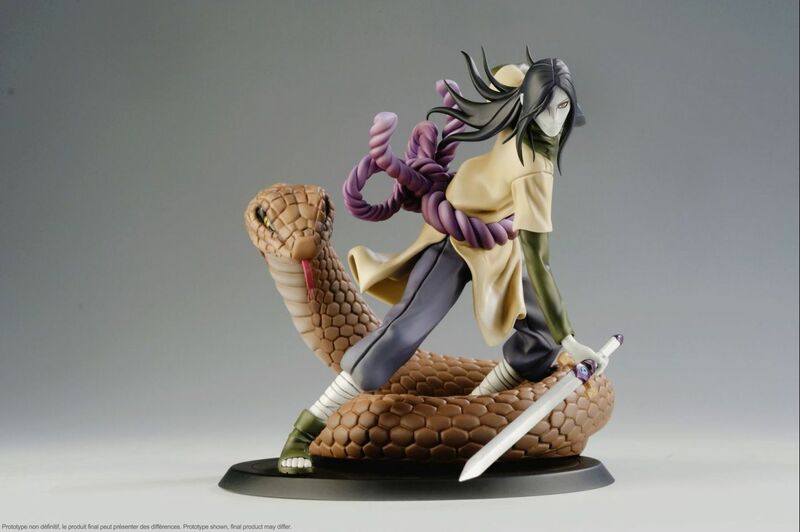 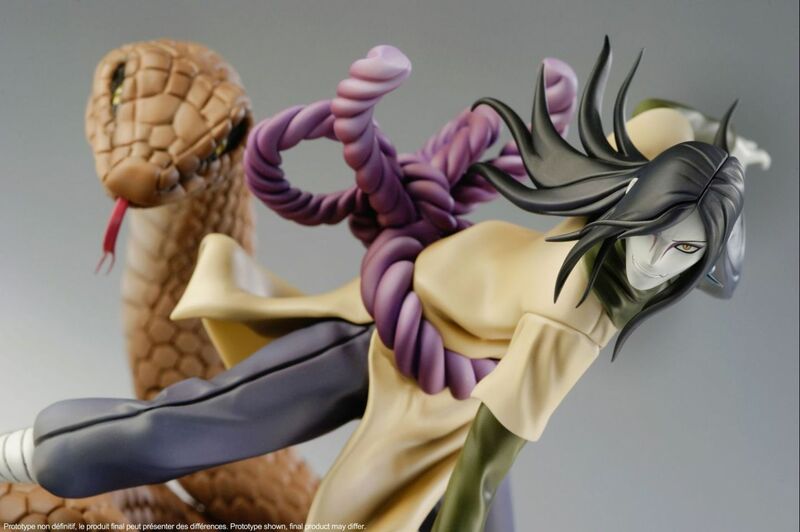 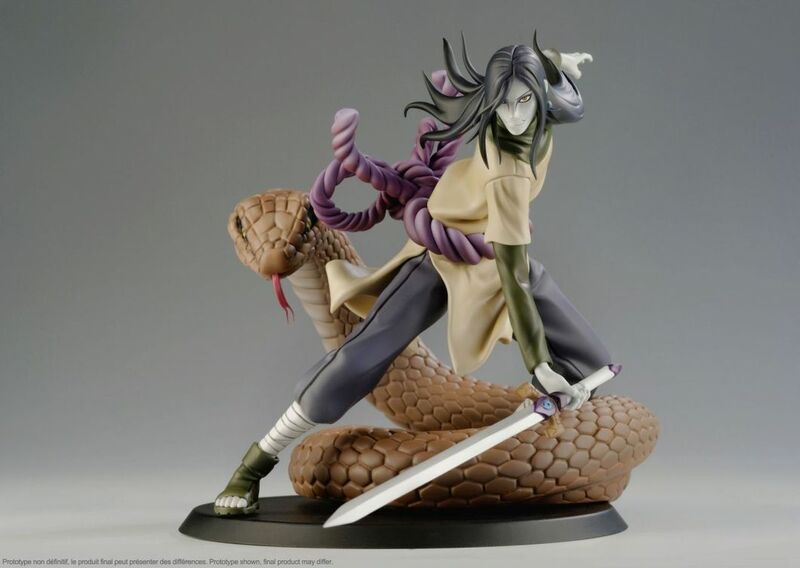 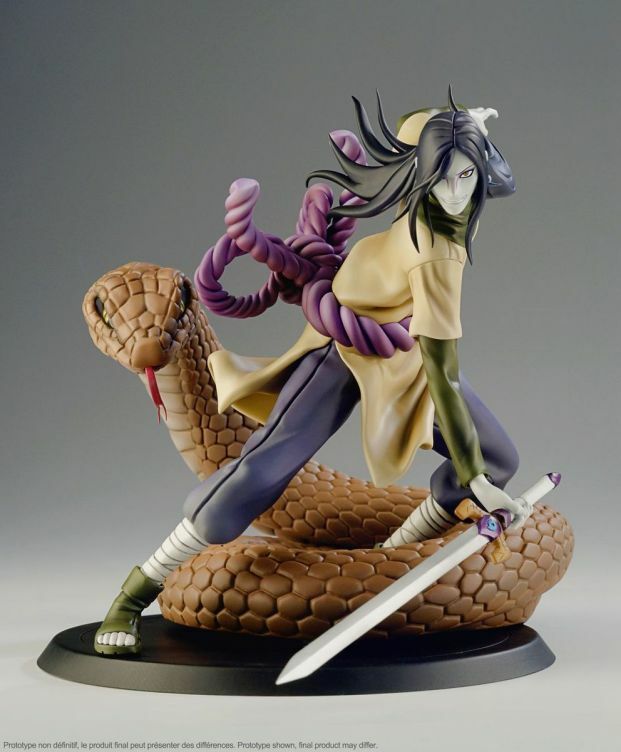 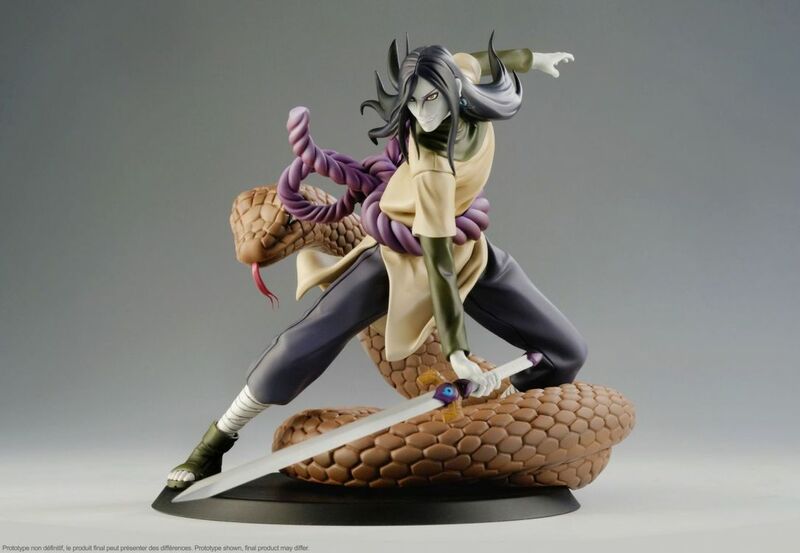 Orochimaru is our seventh Naruto Shippuden's figure in the Xtra by Tsume collection. 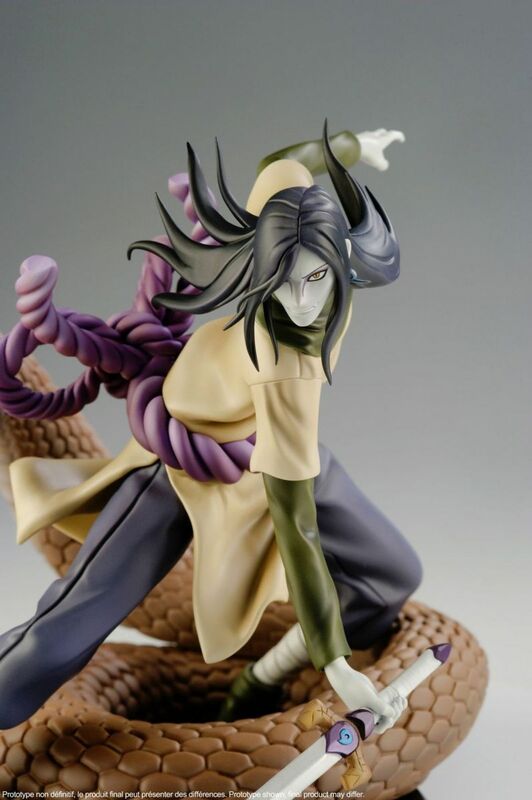 Just as we did with Madara, we decided this other great villain of the show was worth a DXtra (an Xtra figure with special feature)! 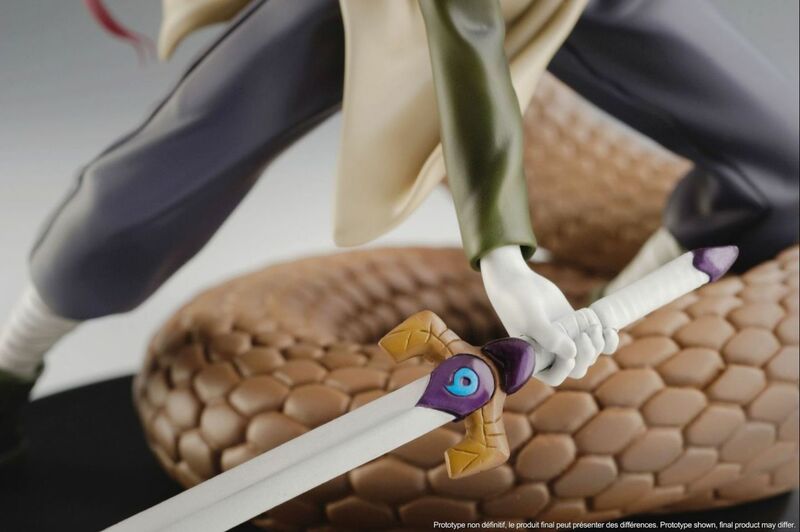 This time, the figure comes with a great snake, while the character is set in motion. Of course, the sculpting and the painting are extremely accurate. 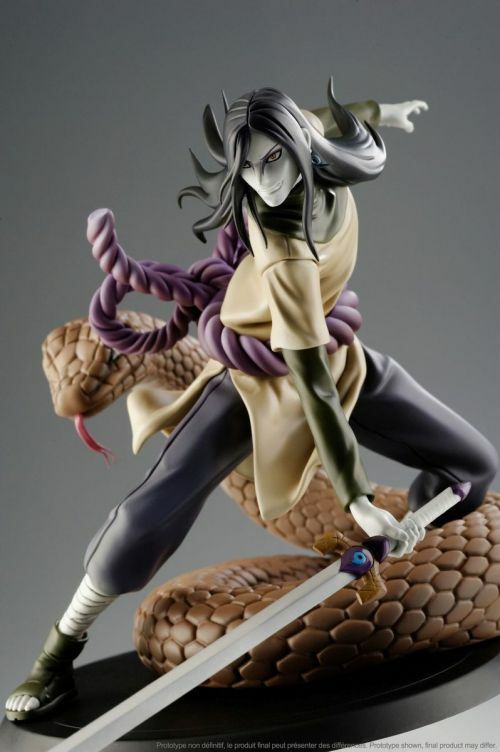 Orochimaru has a pale skin, snake eyes and even fangs in his mouth! Already armed with the Kusanagi sword, Orochimaru also summoned a great snake to attack is opponent. 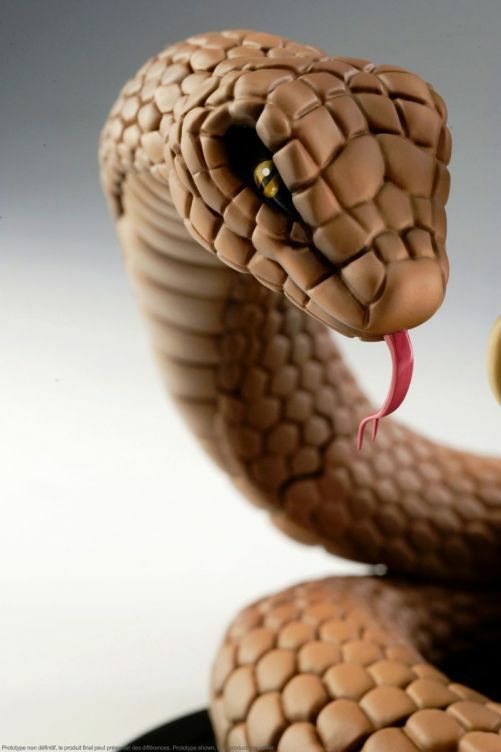 The beast looks at its prey with cold frightening eyes.